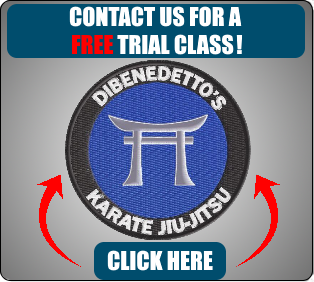 Here at DiBenedetto’s, our instructors have received advanced training in Isshinryu, Jiu-Jitsu, Judo, and many other styles. Our team of instructors work hard to ensure every student with an equal opportunity of learning and to practice new techniques in every class. We value teamwork and dedication in our students and ensure everyone is treated with the same respect as the next. Instructors above, from left to right, are as follows: Adam DiBenedetto, Nick DiBenedetto, Frank DiBenedetto, Megan Baiamonte, and Sidney Polezcek. Sensei Frank DiBenedetto is our Chief Instructor and has been an Isshinryu Karate Black Belt for over 20 years. He also holds black belts in Japanese Jiu-Jitsu, Judo, Escrima, and is a student of Combat Knife Fighting under Arcenio Advincula. He is a graduate of the Slidell Police Academy and holds certifications as a Law Enforcement Defensive Tactics Instructor, is an instructor for The United States Chambara Association, is a student of the Japanese sword, and is an RCJ Machado Brazilian Jiu-Jitsu affiliate. Sensei Frank is a Safety Specialist that works with our local school systems to bring the NRA's Eddie Eagle Gun Safety Program, Bully Defense, and Stranger Danger Programs to our local youth.